- Welcome to Hangout Hostel HCM - one of the MOST POPULAR HOSTEL for solo/group Backpackers & Travelers at Ho Chi Minh City, Vietnam in year 2017 awarded by Hostelworld & Booking website and the BEST HOSTEL on SUMMER in year 2018 awarded by Travelinglifestyle website. 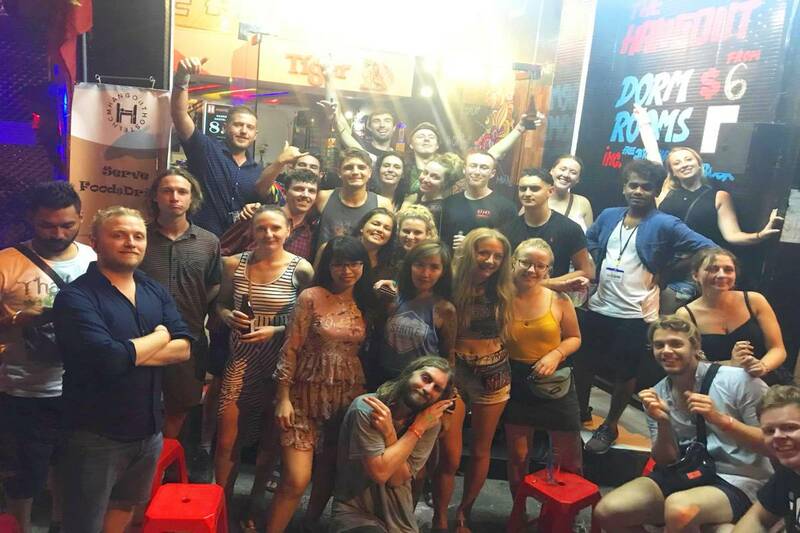 We offer an amazing dorm and are located right in the center of Ho Chi Minh’s Backpacker area and in front of the City Bus Center Station within a 2-minute walking from "BUI VIEN Walking Street" and 5-minute walking from "BEN THANH market" , one of the best places for shopping & sightseeing at Ho Chi Minh City. 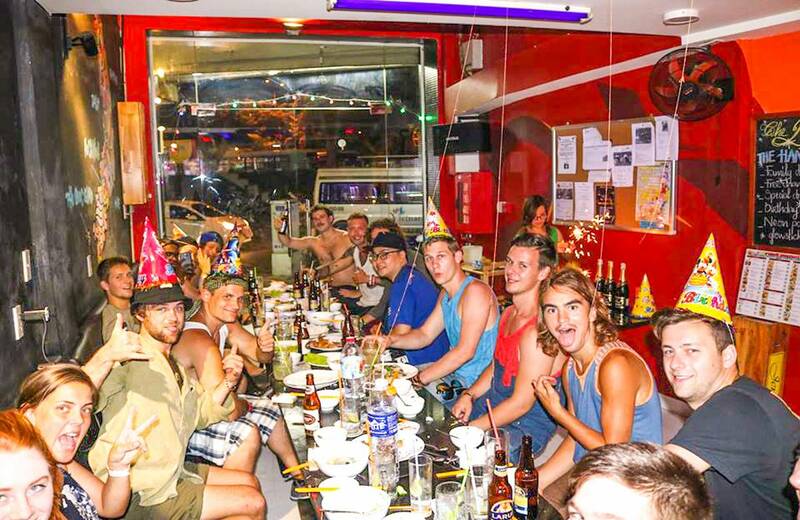 Guest can enjoy BUFFET BBQ & PUB CRAWL and lot of games at the Hostel to increase atmosphere in a big city at night. We have 8, 12 and 16 bed dorm rooms available and all of our dorm beds come with lockers big enough to fit your full backpack, reading lights and a power outlet. Each dorm room has its own en-suite bathroom with unlimited hot water for the showers and we also have a communal shower/toilet area which is located on level 3. All rooms at the property are equipped with air conditioning and fans, while free linen is provided. Guests also have access to the shared bathroom and toilet facilities. Computers and tour booking services are available at the on-site reception. 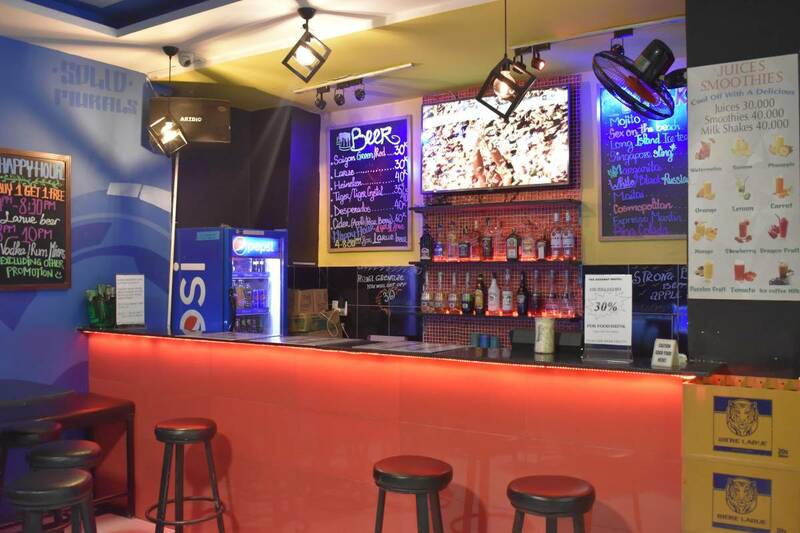 Moreover, you can enjoy food & beverage with the 50-inch TV with various movies & sports at the bar all days. The Hangout Hostel is a 2-minute walk from Bui Vien Walking Street and 5-minute walk from Ben Thanh market, one of the best places for shopping & sightseeing. Tan Son Nhat International Airport is 7 km away. 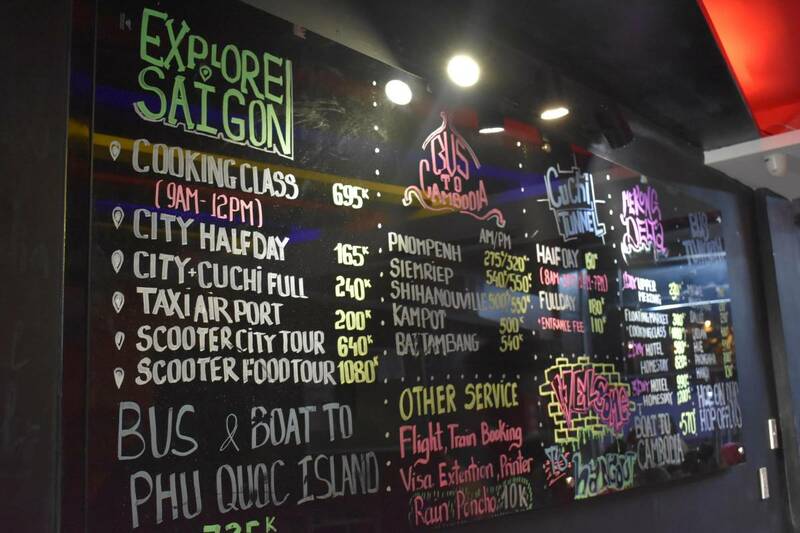 The Hangout Hostel is a 2-minute walk from Bui Vien Walking Street and 5-minute walk from Ben Thanh market, one of the best places for shopping & sightseeing tour. Tan Son Nhat International Airport is 7 km away. District 1 is a great choice for travellers interested in nightlife, shopping and museums. 1. Check out: 11 AM, Check In: Check in time is from 2pm onwards and we have 24 hour check in so anytime after 2pm. If we have beds available earlier we will allow people to check in before 2pm but that will depend on availability. 3. Payments in cash VND or credit card . Taxes are included in our price. 4. For group bookings, we will always try our best to put you together. 5. A Deposit of 50,000 VND for the keys and 100,000 VND for Towels is required.A Deposit of 50,000 VND for the keys and 100,000 VND for Towels is required. 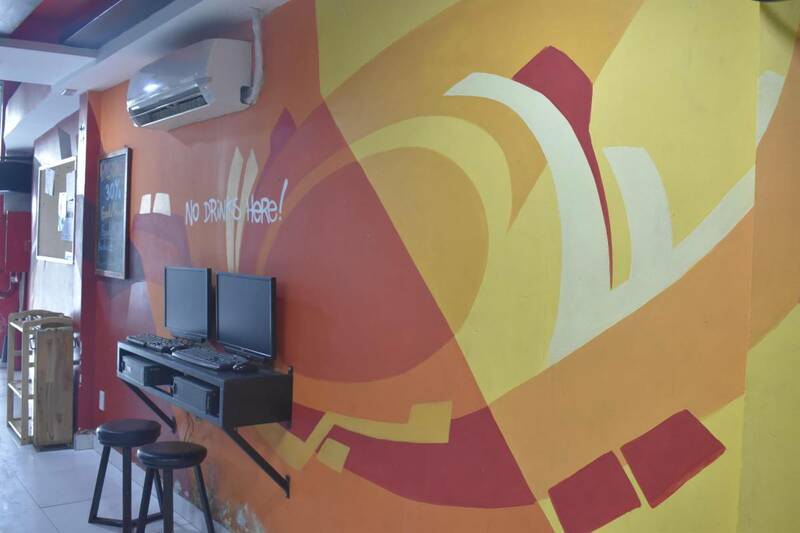 The Hangout Hostel located in the heart of Ho Chi Minh City, it is a 2-minute walk from Bui Vien Walking Street and 5-minute walk from Ben Thanh market, one of the best places for shopping & sightseeing. Tan Son Nhat International Airport is 7 km away. Bus 109 leaves every 20 minutes (between 5:30AM and 1AM) directly from the international terminal, stops at the domestic terminal then heads to District 1 (this is a new service started in March 2016 and is a brand new bus that takes a direct route with less stops). The cost is 20, 000VND (90 Cents) and it drops you off at the bus station down the street from The Hangout Hostel HCM. You can also get a taxi, we recommend you use a VINASUN or MAI LINH taxi as these will not overcharge you and only use meters to calculate the fare. This will cost you from 150. 000 to 200. 000 VND - approximately $7-10 and it take's around 25-30 minutes depending on traffic. Ask the taxi to drop you off at 361A Pham Ngu Lao street, District 1.